Hello Everyone, Deonna Here! 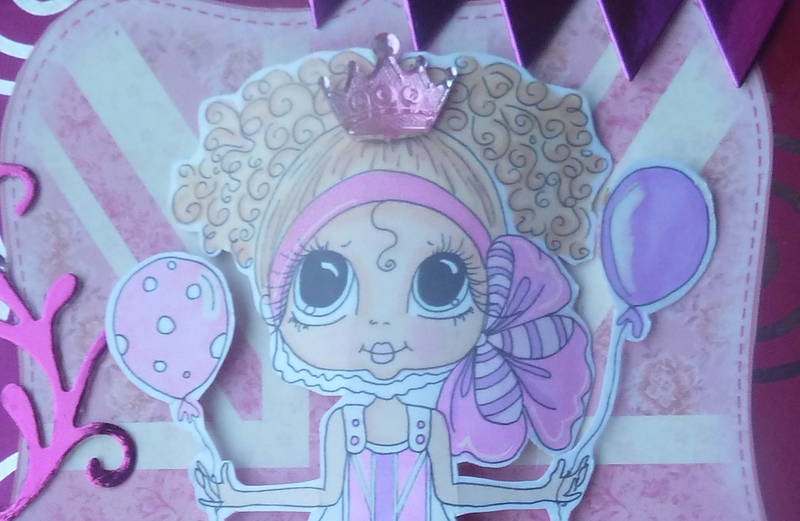 I'm posing a project that i made using another wonderful Bestie called "Birthday Girl"
. These are very simple to make and i love the results. You can take just a plain notepad and turn it into a work of art. There are just so many fun things that you can make with digis. You have to just have a open mind and let your creativity run free.. No limits! 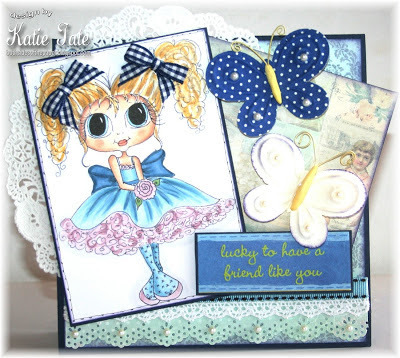 If you haven't joined us yet at the Besties Challenge Blog, Please come and join us! Thank you for stopping by and taking a look today. Tomorrow the Team will be having a Blog Hop. It would be wonderful to have everyone particepate and you could win some Fabulous Besties. To View the details please go to my Blog HERE. 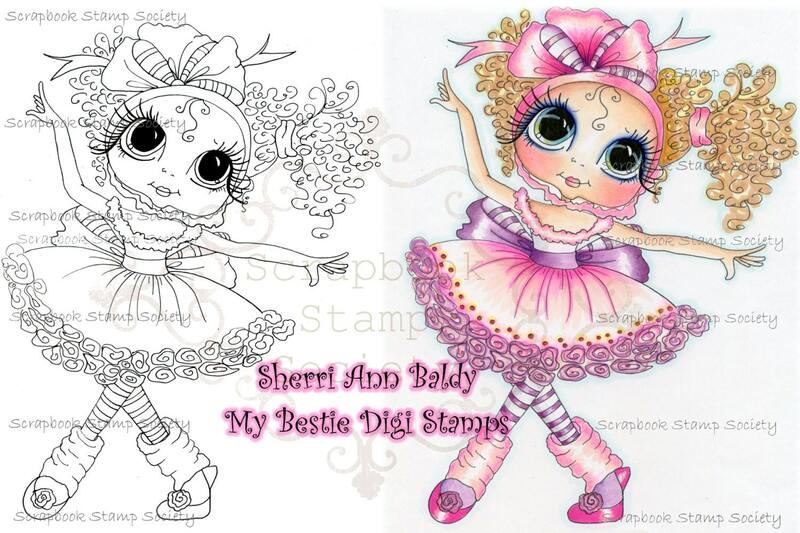 My name is Regina Hardy and I'm posting a card today from the Scrapbook Stamp Society collection (Sherri Baldi Stamps), called Besties. 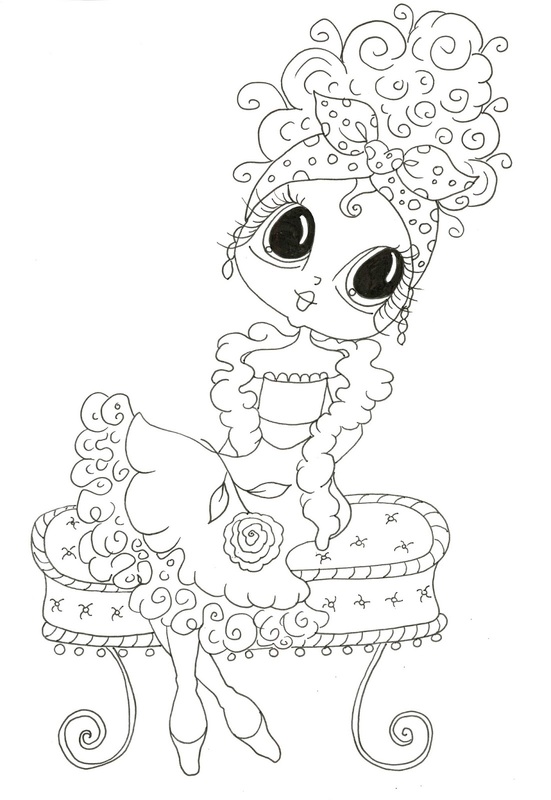 This stamp is called Belinda Bubbles. If you haven't been to their SHOP, please take a minute and see how adorable the digis are. Other products are sold as well. I made this card using the digi, Belinda Bubbles. 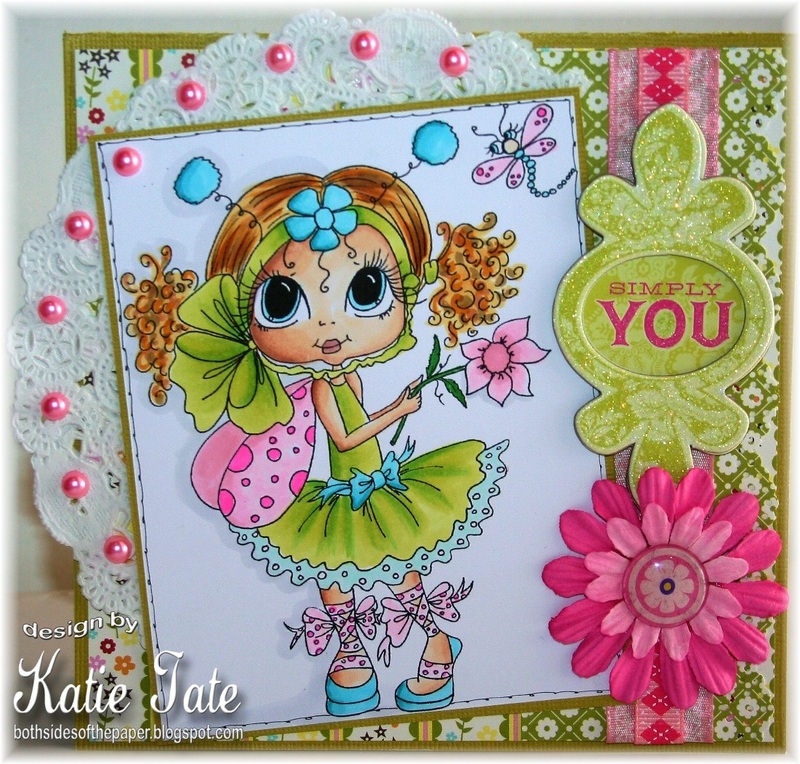 The greeting, which I thought was perfect for this card, is from Kraftin' Kimmie called Bridgette. The patterned paper is My Minds Eye, On The Sunny Side. 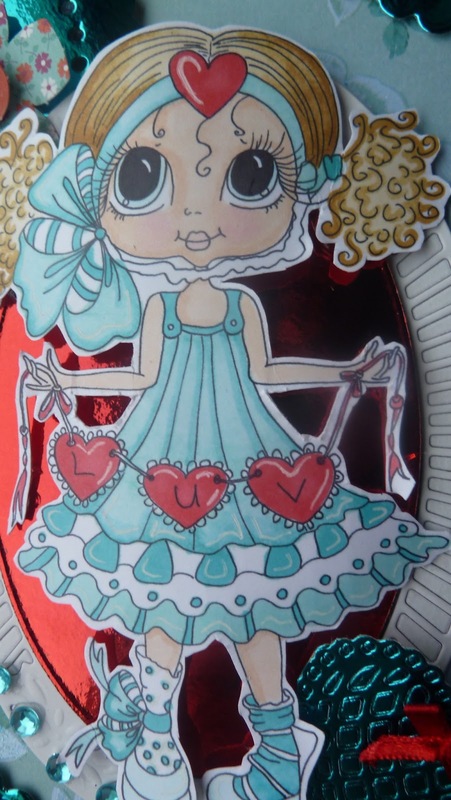 I used Spellbinders Classic Circle and Scalloped Circle around the image and a petite oval and petite scalloped oval around the greeting and colored her with copics. I used white and blue/green pearls for the bubbles and thought they turned out SO CUTE! I told you she was adorable. 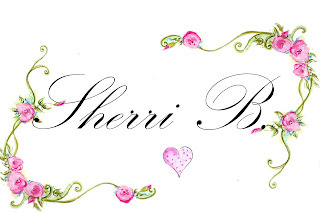 Please check out Sherri Baldy's Facebook Page also to see some beautiful cards made with these stamps. Do you like challenges? There are challenges on the Challenge Blog. You can win anything from copics to digis. If you could follow their blog and show them some love that would be awesome. Well, look for more cards in the near future using these super cute stamps! Please be sure and stop by my blog at http://cardsbyregina.blogspot.com. I hope you like what I had to share with you all .. Here is my another DT card using this so super cute image. I just had fun colouring her. I hope you will like it. It's Monday so that means time for a new challenge at Besties Challenge. The challenge requires the use of one of super sweet images from Sherri Baldy and today I got to use one of the newest ones she created! 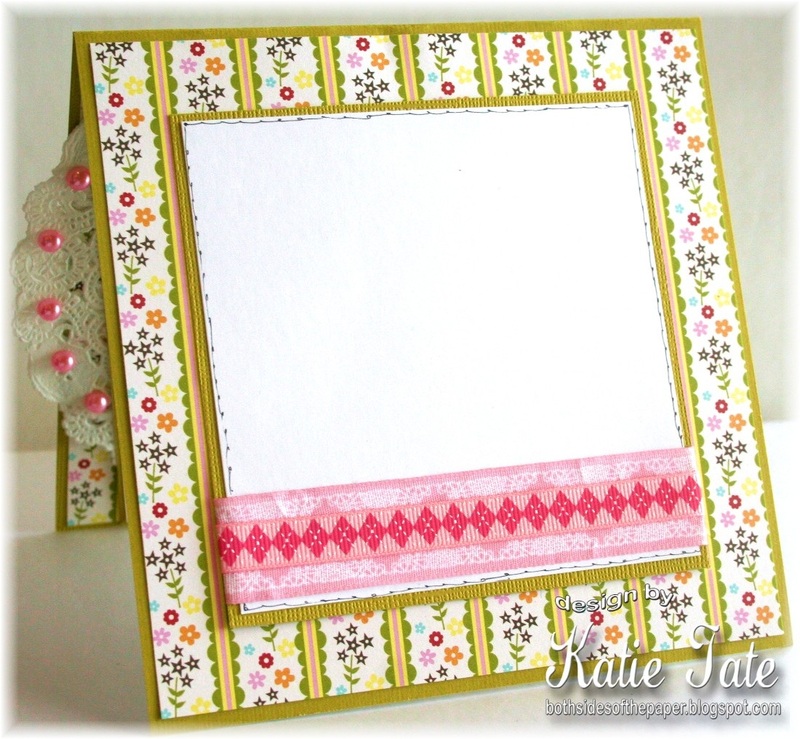 It is a super easy challenge, we want to see you use 2 patterned papers! I hope you like this too and will grab your patterned papers are join in with us over at the Besties Challenge this week. 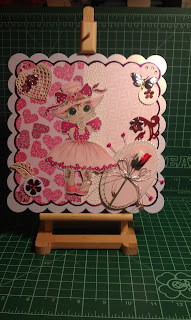 My post for you today is an A5 card using Sherri 's British Digi, she doesnt have specific name at the moment. 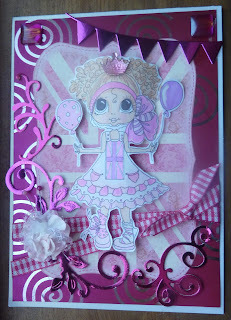 I have used the following Creata products as this was a card for Carley Duff for create & craft tv a couple of weeks ago. The digi has been printed onto neenah card stock then coloured with spectrum noir markers and cut out close to the black edge. 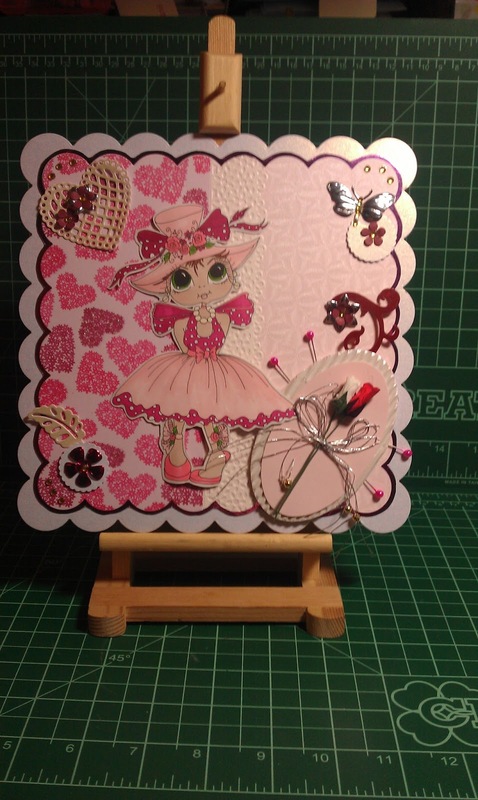 All mounted onto the card using pinflair glue gel. Other products from my stash are MCS union jack topper, bling, flower, ribbon and hat pins. For this card i made my own 5.5 inch (14 x 14cm) card blank using pearlescent card stock. 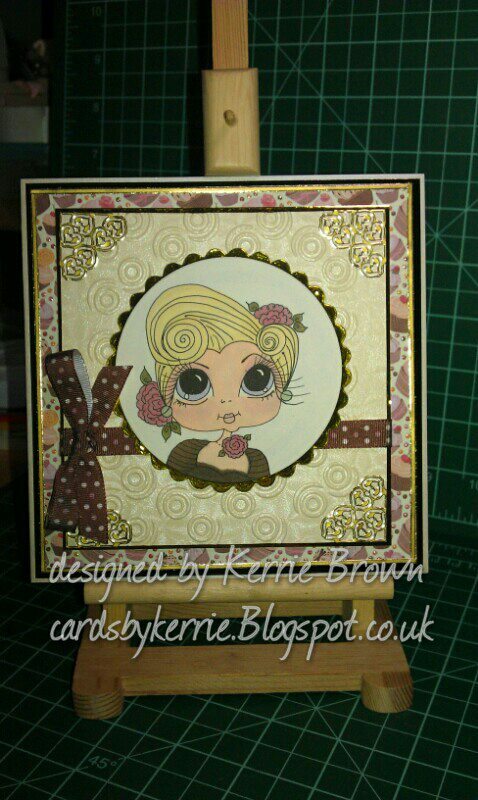 I chose a lovely cupcake backing paper an cut this a few mm smaller than the card blank and then matted with dark brown mirror board and attached to card front. 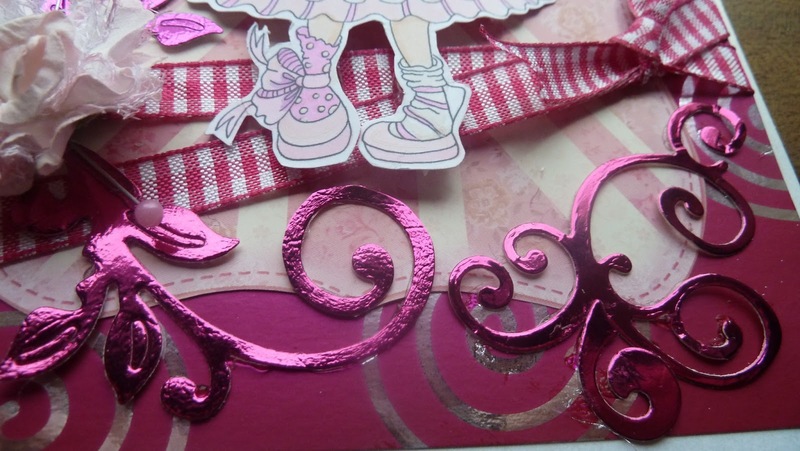 I then cut a piece of cream metallic and textured card stock to 4 inch(10.2 cm) i embossed this using a swirl patterned embossing folder and again matted with dark brown mirror tied a ribbon around and attached to card front using foam shaker tape for dimension. I've added peel off strips around the outer edge of the cupcake paper and peel off corners to the cream card stock. 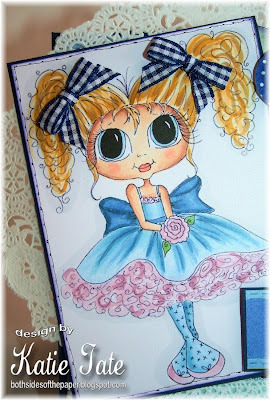 For the main topper i coloured the image with promarkers in colours to match the cupcake backing paper. I the die cut the image into a circle shape just to show head and shoulders of the character. 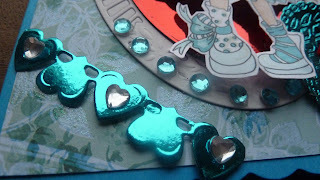 I then die cut a scalloped circle for matt and layering. I fixed the image to this and attached with foam shaker tape to the front of card. Oh How i love the Blues! Hello blog World! It's me again, Deonna with my Thursday Inspiration post. Have you checked out the Bestie Challenge this week yet? It's all about the Color" Blue"
"Use two colors of Blue"
Here is my Blue inspiration for all of you! I chose this Awesome "Supersaurus" image from the New My Bestie Pets Collection to work with today. Hope that you all are great and enjoying your craft time in your part of the world... ! Once again ..it is my turn to share some thing special with you all ... ! I have to admit that lately I haven't done much ...work around ...just trying to take it bit slowly ... and enjoy my moments ... ! Hope that you like what I had to share . Here is my this weeks card to share with you all. I had really fun playing with some bold copic colours. 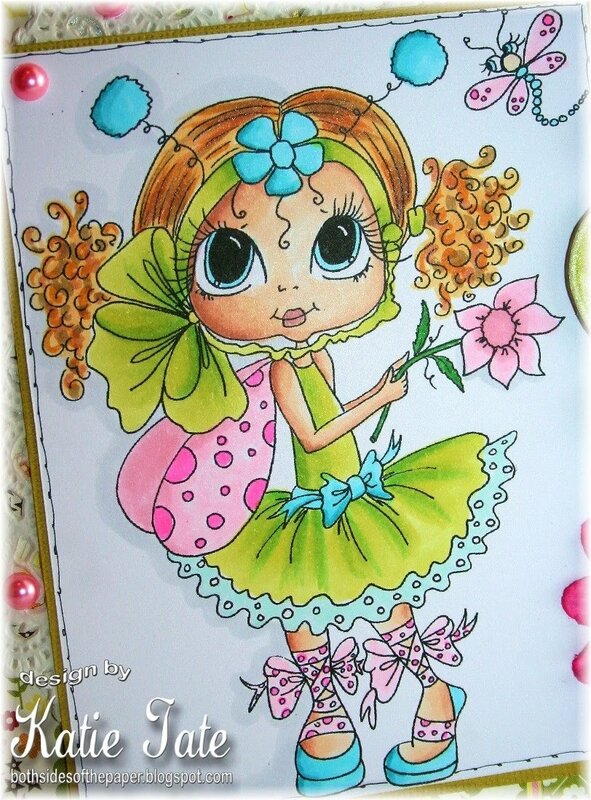 You can find this fab image at Sherry Baldy's Esty Shop. It's Monday so that means time for a new challenge at Besties Challenge. The challenge requires the use of one of super sweet images from Sherri Baldy and today I got to use one of the newest ones she created! It is a super easy challenge, we want to see you use 2 shades of blue! 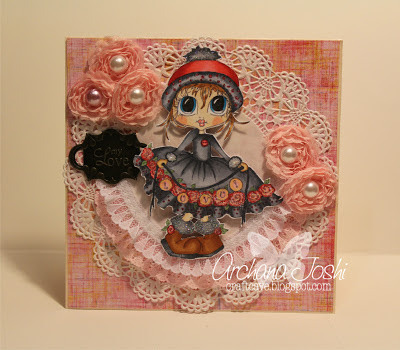 Today id like to show you a card that i have made for Create & Craft tv show Creata with Carley Duff. 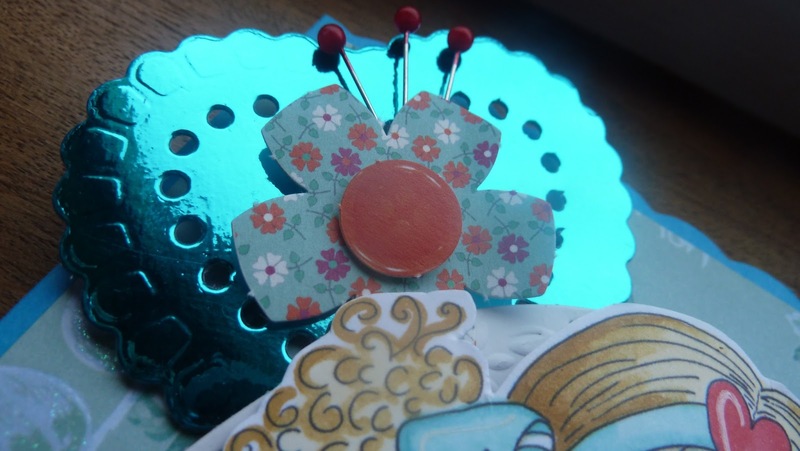 Other products from my stash are bling, bow and hat pins. 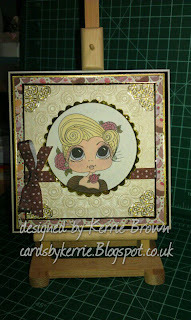 Ive used a set of large dies to cut a shaped card blank and mat&layering. The Digi image ive printed onto Neenah cardstock and coloured with spectrum noirs and promarkers in colours to match the backing papers I chose to use, i decided to cut out the image but leaving about 2mm edge. 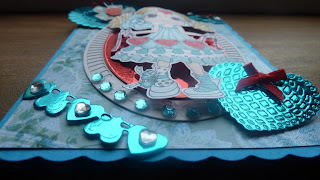 I then chose a selection of dies and cut them out using my joy machine and various mirror board and cardstock scraps in colours to suit the image. the rose topper is from a mixed pack from creata on create&craft.tv I have also added gems and pins from my crafting stash. Happy Valentines Day from Me to You!!! Hello everyone! It's Deonna and it's Thursday which it means that it's my day to post. Yippee!!! I've created another 3D project to share with you on this Special Valentines Day. 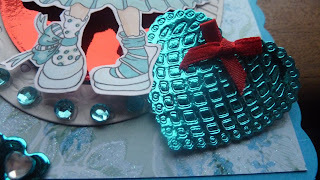 I've made a Valentine Gift Box to share today using the Bestie "Hearts A Flutter" I thought that this little box could be a great gift with Chocolate and a Gift card or pretty much Anything. You can purchase this sweet digi at Scrapbook Stamp Society. or at Sherri Baldy's Etsy Store. If you haven't participated in our Besties challenge yet, you should! 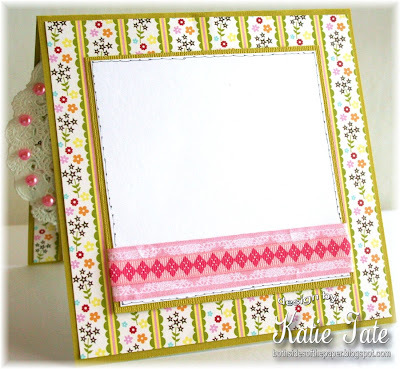 There are freebies on the Blog! 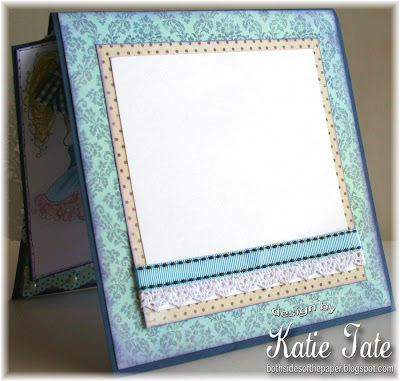 Here is my ...it's a tri-fold card ... using digi image by Sherri Baldy . 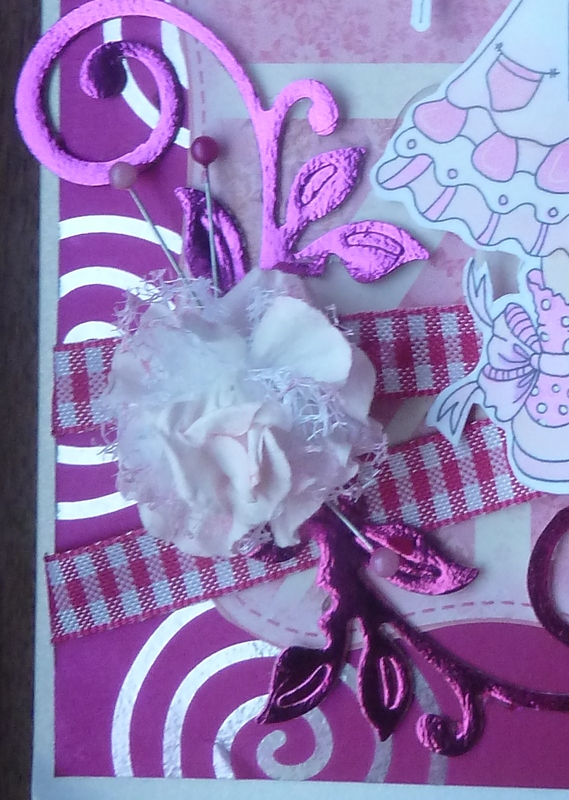 Working on this card was so much fun ... as I choose not make the card too busy as I like to bring the digi out more .. The middle section of the card is empty ... to write message in ..! Hope that you do like what I have to share with you all ... ! Have a wonderful Valentine Day to you all. This is my another DT project for Valentine Day! Please visit my CRAFTCAVE for wonderful Valentine blog hop and chance to win some Besties Digi images. Miss Matilda for the new challenge! A Simple I Love You and another new DT Member!